The temperatures are dropping and we are approaching winter quickly. It may be just the right time to light your fireplace for the season. 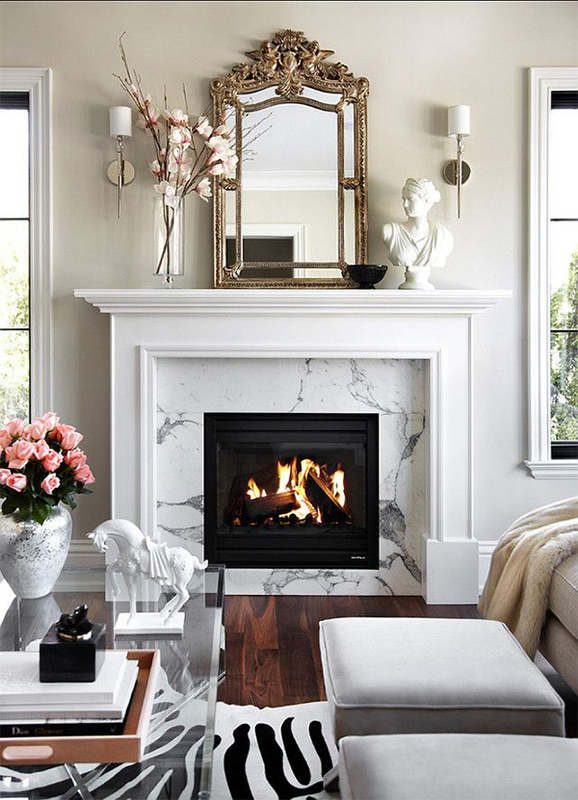 Here are some lovely home designs featuring fireplaces. 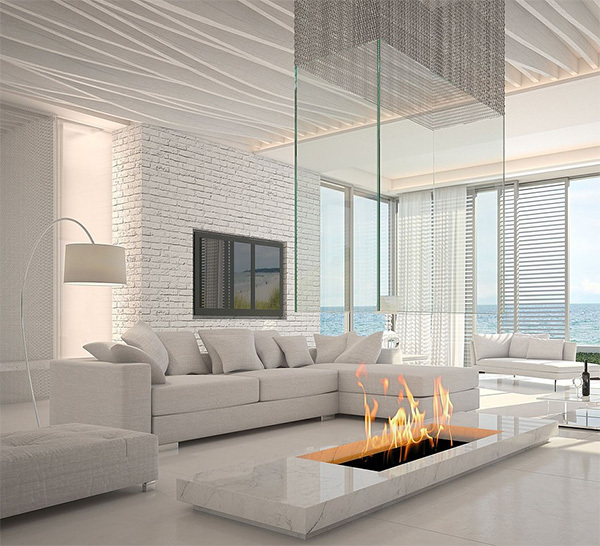 Still planning out how you’ll incorporate a fireplace into your home? Why not go custom? A custom fireplace design allows you to really get creative and build a look that’s perfect for your home and style. Take a look at the artistic custom fireplace above! 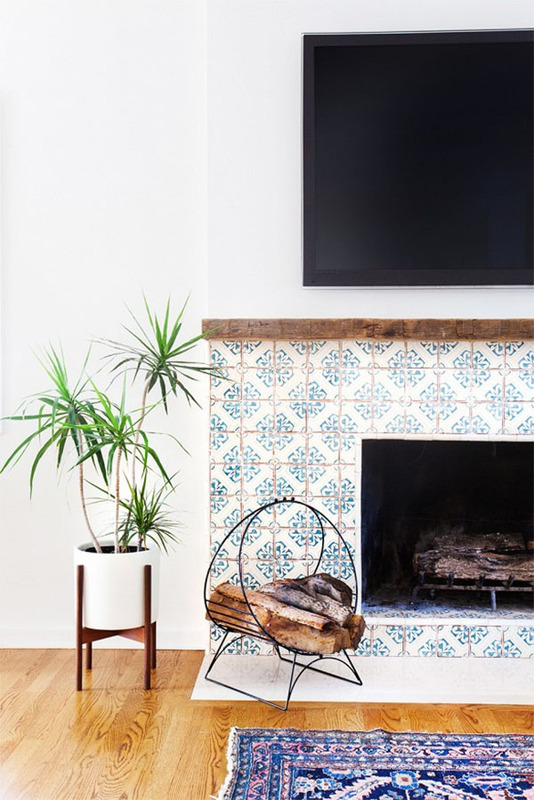 If you have one of those fireplaces that cannot actually hold a fire, you can still create the feeling for fire and warmth by filling your fireplace with candles in varying heights. It will definitely add a bit of drama to your space and will give you that cozy feeling every person with a fireplace is looking for. 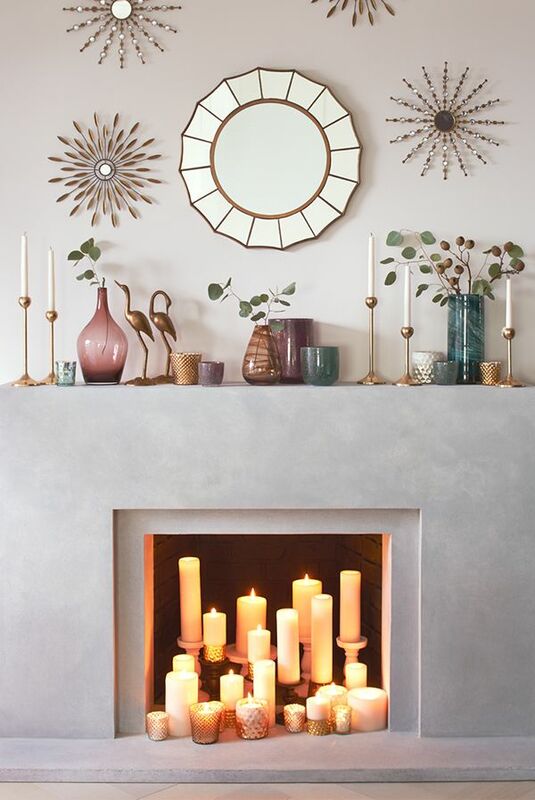 For the candle-lit fireplace above, you can recreate this look at Target! Target is selling it’s Threshold Starburst Mirror for only $39.99 and the 7×4 inch pillar candles for $14.99. If you are looking to make sure your space is kid friendly, you can recreate the look with battery operated, flameless candles as well. (These flameless candles even have a timer!) You can spray paint candle holders in gold and add some flowers or greenery in a vase to your mantel and you will have recreated this looks quite easily. 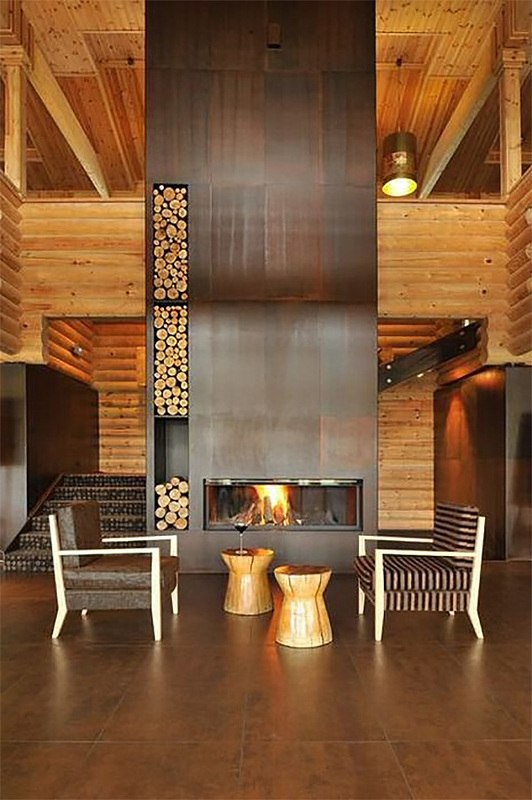 Now for a more masculine approach to the fireplace, with rich wood paneling. 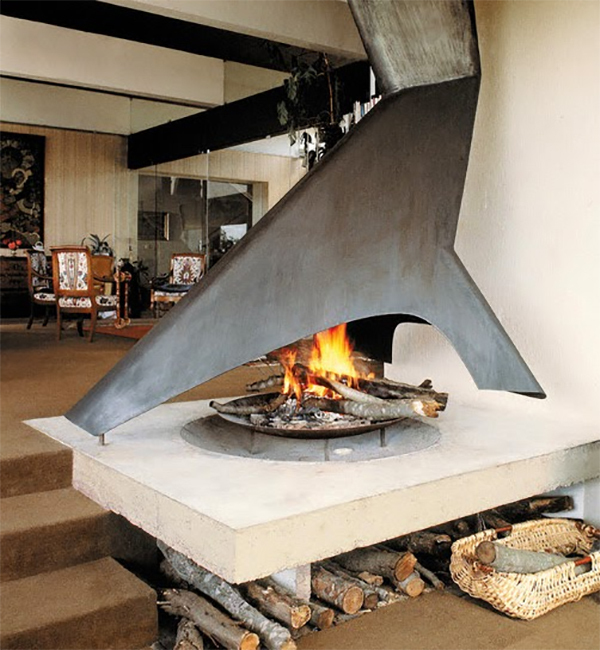 Definitely a truly unique fireplace. Here’s the feminine perspective on a cozy, fireplace centered room. Tres chic indeed! Hope you’re feeling excited to go home and light your own fireplace. Enjoy!